In case you were wondering, after two amazing weeks of play at the All England Club, tennis does go on. Although several of the top players are taking a well-deserved rest, here are the most recent results from the women and men’s tours. In Stuggart Germany, a clay court event, 19-year-old Argentine Juan Martin Del Potro beat second seed Richard Gasquet 6-4, 7-5 in the finals at Mercedes Cup in order to win his first ATP title. Along with a nice paycheck, Del Potro received a spanking new Mercedes-Benz SLK 350 convertible. Ah tennis, nice work if you can get it! Top seed and defending champion Rafael Nadal withdrew from the tournament because of a right knee problem suffered during his grueling fortnight at Wimbledon. Two other tournaments were taking place in Europe, also on clay. At the Allianz Suisse Open in Gstaad, Romanian Victor Hanescu defeated Russian Igor Andreev 6-3, 6-4 in the finals. Hanescu prevailed over top seed and favorite son Switzerland’s Stanislas Wawrinka in the semifinals. In Sweden, Spaniard Tommy Robredo disposed of Tomas Berdych 6-4, 6-1 to claim the title at the Catella Swedish Open in Bastad; Tommy’s first trophy this year. Robredo eliminated defending champion and number one seed David Ferrer in the semifinals. Grass was the surface in play at the Campbell’s Hall of Fame Tennis Championships in Newport, Rhode Island. Second seed Fabrice Santoro vanquished over wildcard finalist Prakash Amritraj 6-3, 7-5 to win his second consecutive title. 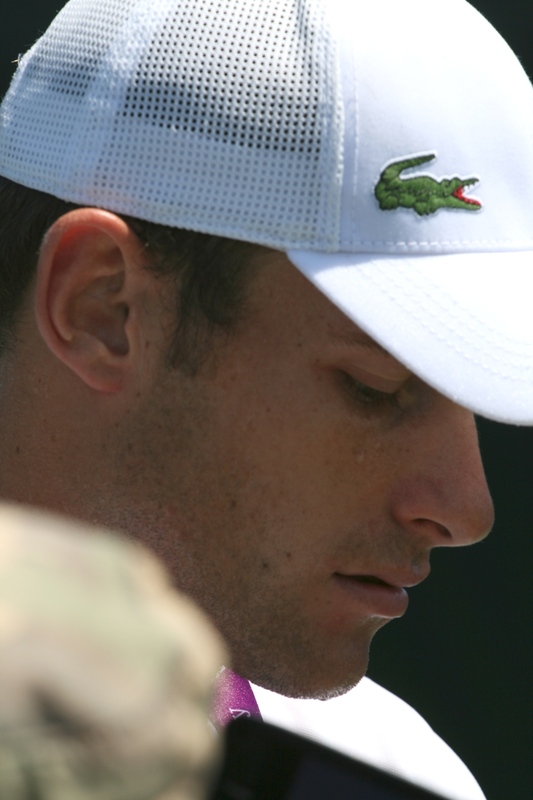 Americans Mardy Fish and John Isner took the doubles prize. For the women, it was back to the clay and a week of first for the eventual winners. At the Gaz de France, a tier III tournament in Budapest Hungary, France’s Alize Cornet, seeded second, defeated Slovenia’s Andreja Klepac 7-6, 6-3 to seize her first WTA title. Klepac ousted local sensation and number one seed, Agnes Szavay, in the second round on her way to the finals. Later in the day, Cornet along with partner Janette Husarova of Slovakia went on to take the doubles title. At the Internazionali Femminili Di Tennis in Palermo Italy, a tier IV event, Italian Sara Errani became a first time titlist on the WTA tour. Errani advanced after countrywoman and top seed Flavia Pennetta retired in the semifinals. In the finals, Errani squashed Ukrainian Mariya Koryttseva 6-2, 6-3. Like Cornet, Errani also captured the doubles trophy with teammate Nuria Llagostera Vives of Spain.